Everything about technology, gadgets, camera, mobile phones, console, videogames, retro gadget, Exotic car from my childhood till the end of time. Sony’s new Bluetooth® headphone range lets you immerse yourself in perfectly clear audio without any cable clutter. Whether you are listening to music or making a phone call, Sony’s echo and noise cancelling technology will ensure exceptional sound quality. In addition, compatibility with the latest Bluetooth® 2.1 standard means not only can you say goodbye to troublesome wires, but reduce interference as well. 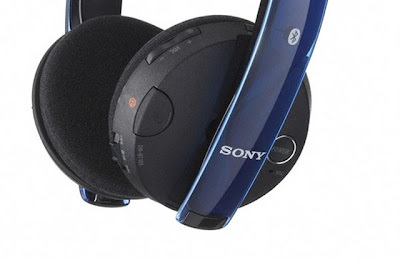 The new Bluetooth® headphone range from Sony is comprised of two models; DR-BT100CX and DR-BT101. Both feature simple, easy to use finger-tip controls which make it straightforward to adjust the volume, play and skip music tracks, and accept or reject incoming calls at the touch of a button. The DR-BT100CX in-ear headphones are the perfect partner for your MP3 player or mobile. USB charging and cord free styling make them easy to use, whilst three sizes of silicon ear bud ensure superior sound quality can be enjoyed in comfort. With eight hours of playback time, these lightweight Bluetooth® headphones will keep you in connected, whatever you’re listening to. For a headband headset without the inconvenience of cables, the DR-BT101 Sony headphones are the ideal choice. Enjoy rich, clear sound for hours on end through the headphone’s 30mm neodymium driver; twelve hours of playback means there is no risk of running out of power on long journeys. As both models support A2DP, AVRCP, HFP and HSP Bluetooth® profiles, Sony’s new Bluetooth® headphone range keeps you connected and cable free whether you’re travelling, exercising or just listening to your favourite tracks at home. Announced in Korea earlier this month, Samsung's latest photo frames the SPF-87H and SPF-107H, are heading toward Japan with a possible launch in late May and beginning of June. 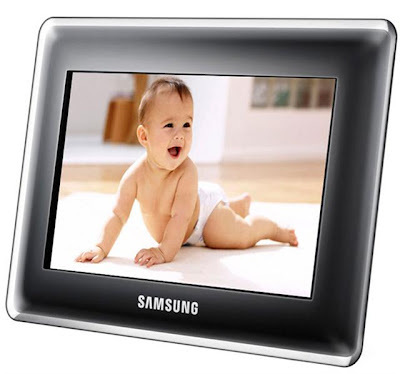 The SPF-87H features a nice 8” LCD with a resolution of 800x400 LCD with a 500:1 contrast ratio and 200cd/m2 brightness while the SPF-107H feature a 10” LCD with 1024x600 resolution, a 500:1 contrast ratio and a 250cd/m2. Both can also be used as a secondary display. Eee PC Seashell - Indulge in the Extraordinary.